A Woodburn man was indicted last week on charges that include attempted aggravated murder after a reported non-fatal shooting on Thanksgiving Day on Hayes Street. Rodolfo Silva-Cortez Jr., 28, was arraigned Dec. 27 on charges stemming from four different cases, including a Nov. 22 alleged robbery in which he is accused of shooting a 35-year-old woman. The victim's injuries were not life-threatening. For that case, he is being charged with attempted aggravated murder with a firearm, first-degree robbery with a firearm, two counts of second-degree assault with a firearm, felon in possession of a firearm, two counts of unlawful use of a weapon. 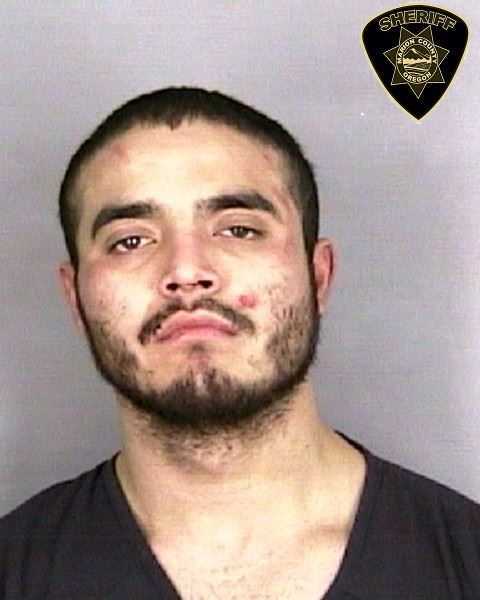 After a warrant was issued for his arrest, Silva-Cortez was apprehended by a K-9 Dec. 7 in the 100 block of Harrison Street after a standoff with police. At that time, he had reportedly threatened a 41-year-old woman with a firearm inside a residence. The victim had been able to leave the location and call police. In the arraignment, charges for the Dec. 7 incident include felon in possession of firearm, unlawful use of a weapon and resisting arrest. Silva-Cortez also faces charges of second-degree assault and menacing after a Nov. 6 incident in which he is accused of assaulting a woman with a firearm. Silva-Cortez was convicted in June 2017 of first-degree burglary and menacing. He was sentenced to 45 days incarceration and three years probation. In April 2018, that sentence was amended due to a probation violation, extending his probation an additional two years. In July 2018, after Silva-Cortez's probation officer reported another violation, another warrant was issued for Silva-Cortez's arrest. All crimes are reported to have occurred in Woodburn. Attempted aggravated murder is a Measure 11 sentence, meaning that if convicted, Silva-Cortez would have to serve a mandatory minimum sentence of 10 years in prison. First-degree robbery, also a Measure 11 crime, carries a mandatory minimum sentence of seven years and six months. Second-degree assault carries a probable minimum sentence of five years, 10 months. Judge Sean Armstrong has been assigned to the case. Silva-Cortez's next court appearance is scheduled for 1:10 p.m. Jan. 9. He is being held with no bail allowed at Marion County Jail.